This is a 13 question test on Flowers for Algernon. It consists of multiple choice, multiple option, true/false, and short answer questions. I have provided the answer key. 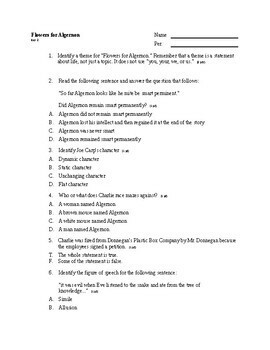 I also have a unit on Flowers for Algernon on TpT, which includes these tests.